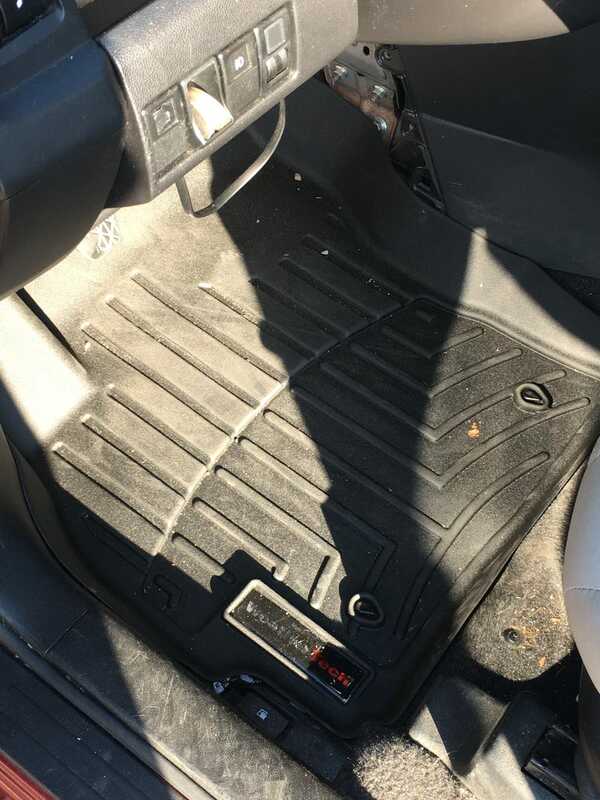 After years of dealing with universal-fit floor mats that never stayed in place and would slide forward preventing me from fully depressing the clutch, I finally sprung for a set of WeatherTech mats. The material is a little thinner than I expected, but they fit nicely and don’t move around. In retrospect, I wish I bought decent mats and other accessories when I bought the car, but hey, live and learn.